Chris began his journey in New York at the House of Many Styles barber shop at age sixteen. He and his partner expanded the barber shop business to Richmond, Virginia. 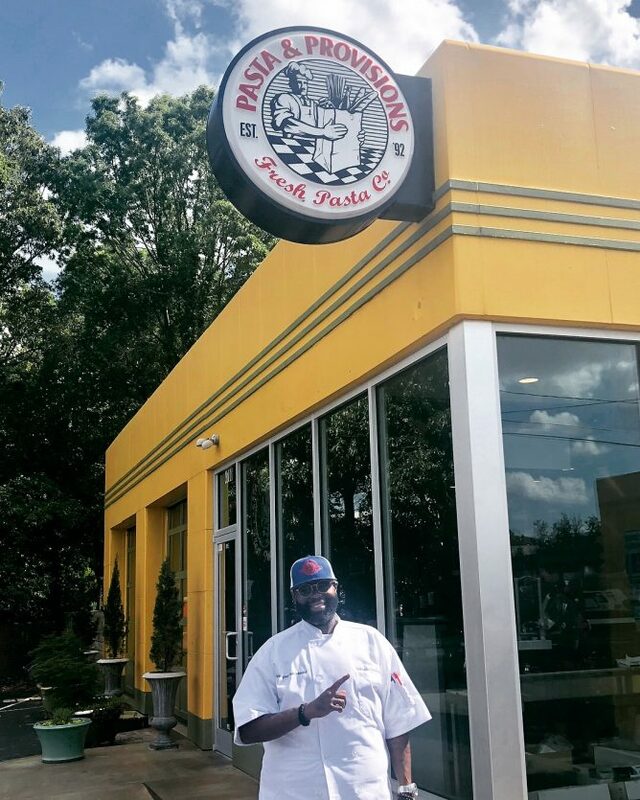 It wasn’t until he moved to Charlotte that he made a life-altering decision to change professions. For a long time, Chris didn’t want anything to do with the culinary industry. Coming from a family of chefs, he wanted a separate pathway for himself. But it must have been fate that led him back to cooking. When Chris moved to Charlotte with his wife, he researched culinary schools, starting with the Art Institute (AI). After enrolling, his transcripts didn’t go through so he was let go from the program. Thinking he would have no way of furthering his education, Chris worried what to do next. Thankfully, he found CCSC and was glad to get his second chance to learn culinary skills. “CCSC has love for people coming in and out of the School and they never give up on you!” While at CCSC, Chris was ready to embrace all techniques, try all recipes, and learn as much as he could. In addition to attending CCSC, he began his paid-internship at Pasta and Provisions. CCSC’s internship program was implemented to give our students real-world food service experience, while still in school. After graduating, Chris continues to work at Pasta and Provisions as a line-cook. During his time there, he has furthered his training. He has enjoyed learning how to make fresh pasta and sauces from a company that has been around for 25 years. The next step for Chris is helping open Pasta and Provision’s newest franchise location on 1600 S. Mint Street! We are glad Chris had the courage to start a new profession and that he is taking on big responsibilities. We hope you get a chance to visit him soon and the newest location!